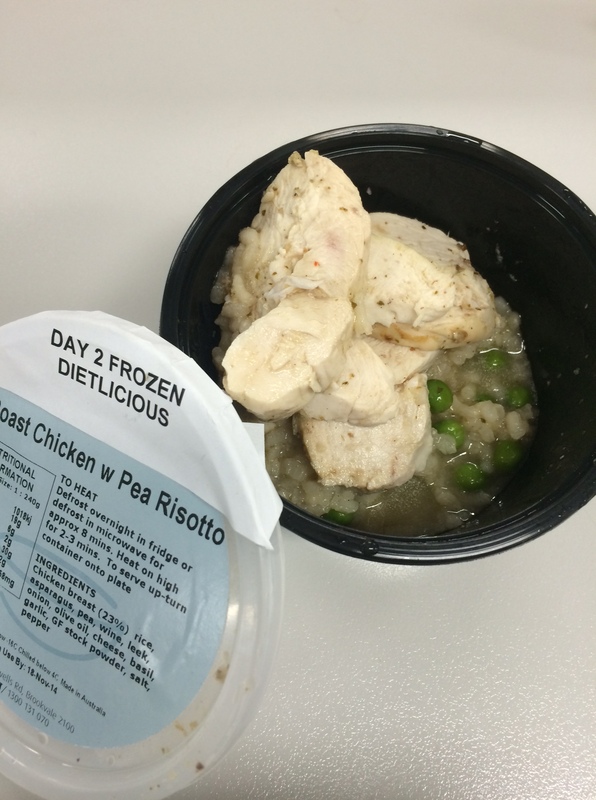 Dietlicious – Harmony in Health and Flavour! 2014 is an important one for me as it is the year I am getting married. In typical bride-to-be fashion I have begun the mental shift from carefree living to the notorious “shredding for the wedding” state of mind. With five months to go until the big day, I started thinking about a weight management eating plan that would help me lose a few kilos and stay on track until the wedding. 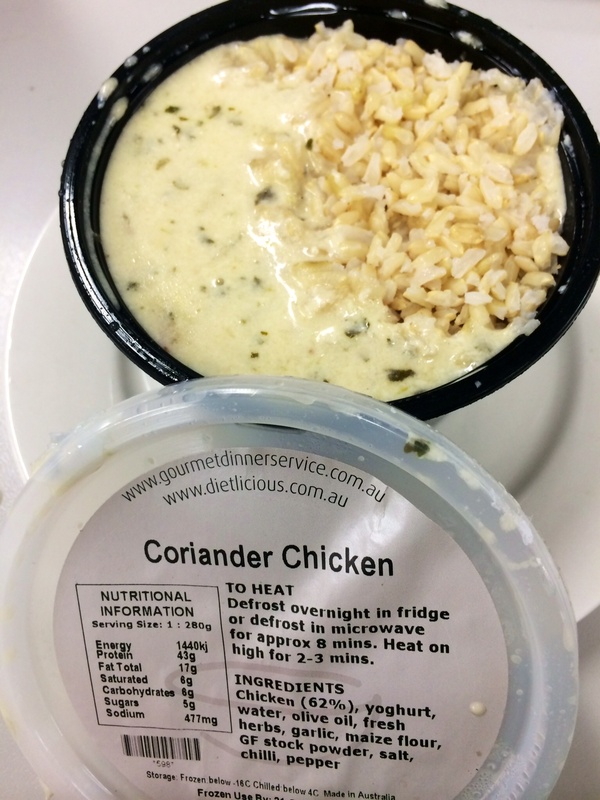 A friend of mine introduced me to a gourmet meal delivery service called Dietlicious, which she had trialled for a few weeks and raved about. 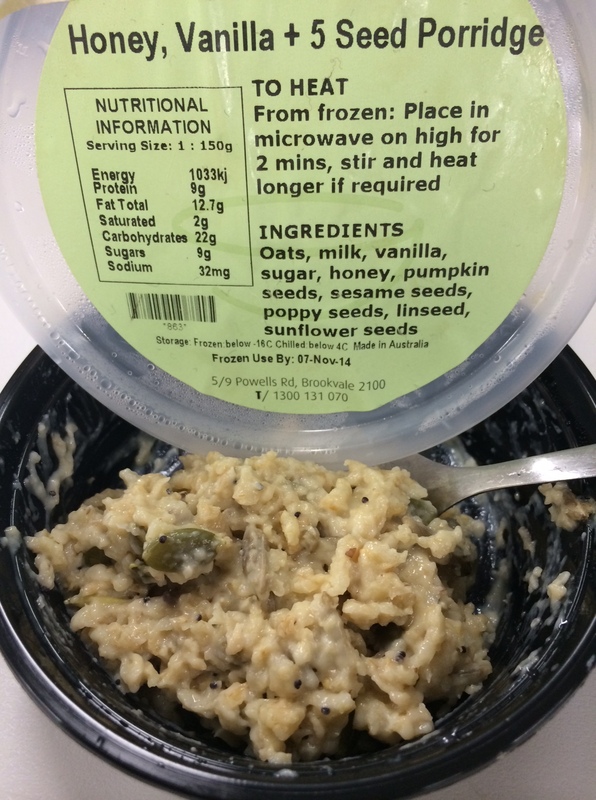 Having always shied away from the idea of microwavable or pre-packaged foods I was a little hesitant, however my friend assured me this program was different…and she was not wrong. I chose the 5 day 1500 calorie kick starter program (menu 2) and from the outset I had a good feeling about the service. The website is very user friendly, with the available meals plans clearly defined and priced. Delivery dates are frequent during the week, with scheduled days depending on your area, for a delivery fee of $8.50. They also provide a weekend courier service for a fee of $19.50. You pay a refundable fee of $5 for the Styrofoam container which the food is delivered in – which is a great initiative on their part to do their bit for the environment and ensure they are reused. I had chosen the option of a weekend delivery and so when Sunday morning rolled around I eagerly awaited the arrival of the courier. The friendly courier delivered the box to my door and I was delighted to see how well organised the service is. 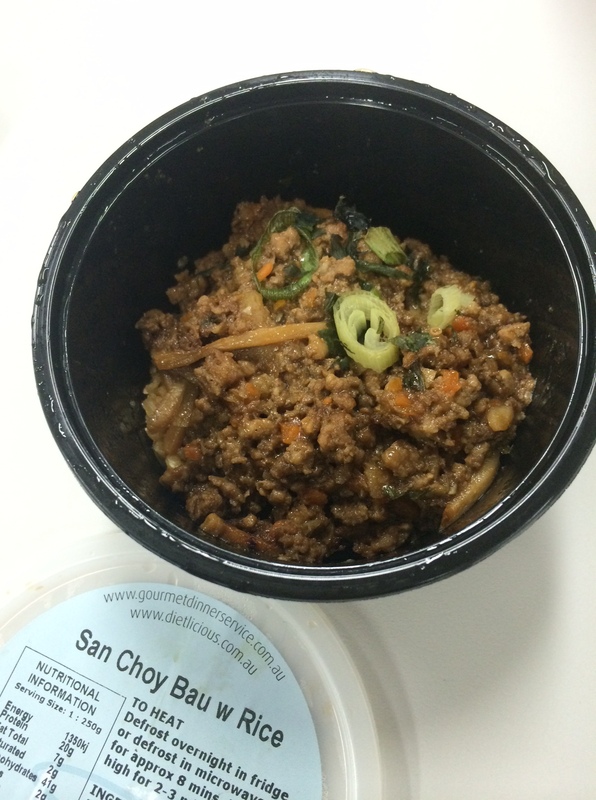 Each day’s meals are packaged together which makes it super easy to know exactly what you should be eating and when. 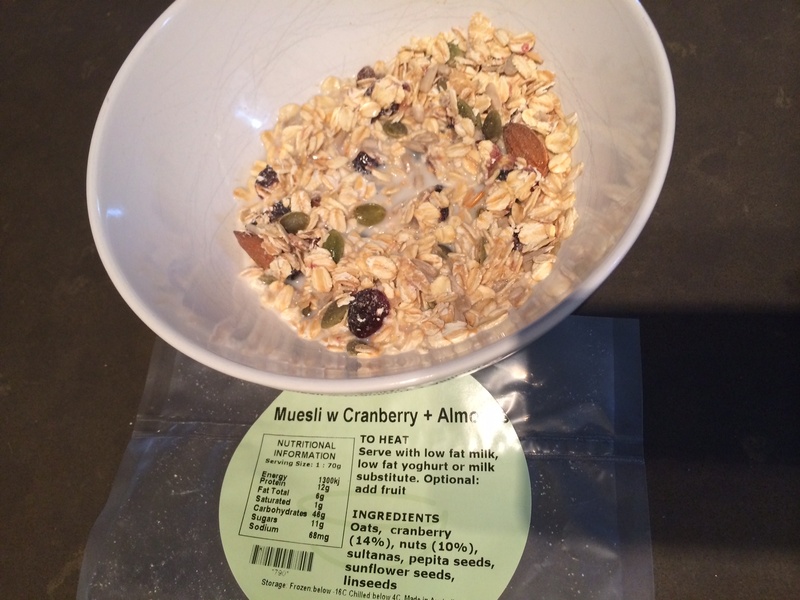 They have also colour coded the containers to easily distinguish breakfast, lunch and dinner meals. It literally was a case of placing days 1-3 in the fridge and days 4-5 in the freezer ready to be taken out before eating later in the week. 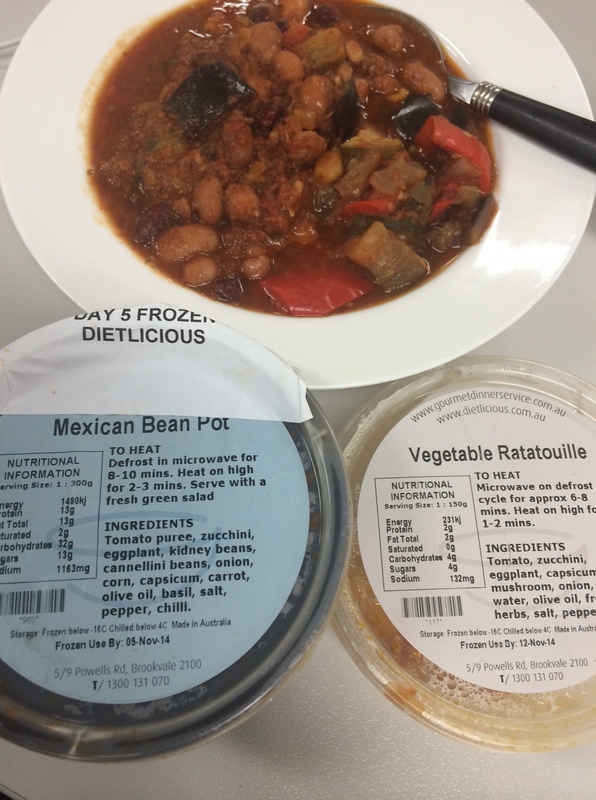 The 5 day (1500 cal) meal plan consists of 3 meals plus 2 snacks (per day) so Dietlicious have pretty much done all the thinking and planning for you for the week. 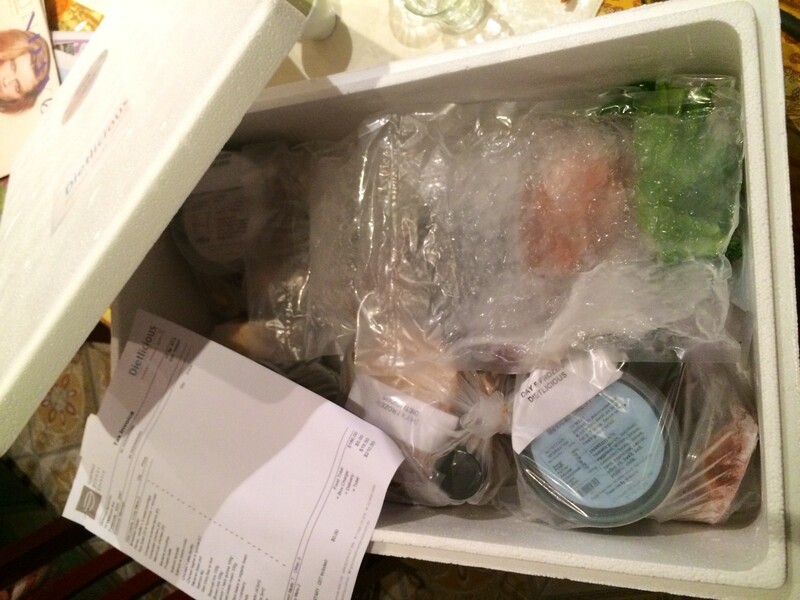 It is also very reasonably priced in comparison to other meal delivery services, this particular plan cost $186 + GST. I will delve into detail below but from the outset let me acknowledge how delicious, fresh and nutritious the meals are and that I can’t speak highly enough about the service. Aside from the ease and convenience of it all, I can honestly say I was rarely hungry due to the frequency of the meals and never felt like I was eating “diet” food. Overall, I’m a huge fan and will continue with the meal plans leading up to the wedding. The variety of the main meals is terrific and the portion size is enough to keep you satisfied. 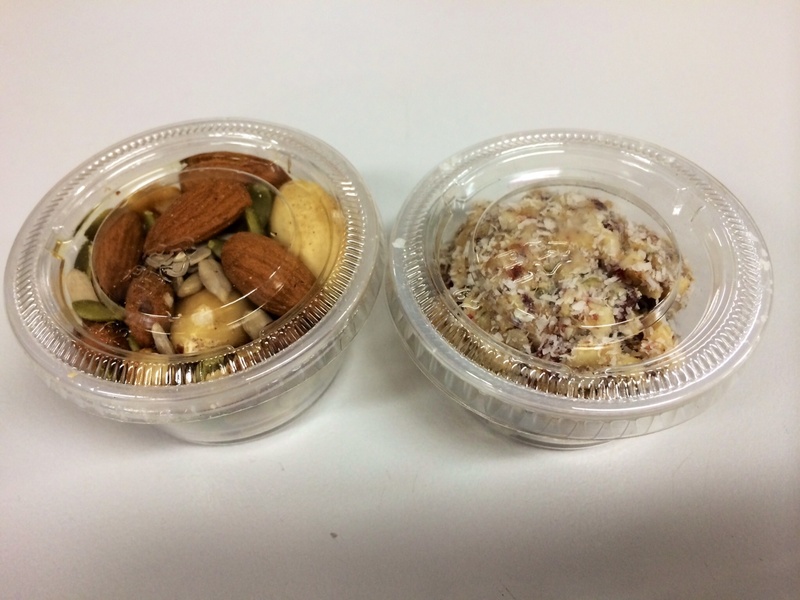 The only repetition I noted was that I pretty quickly got over the “Nuts + Seeds” as a snack – but perhaps that’s just me. They have a variety of eating plans available ranging from 1000-1800 calories, covering detox cleansers and weight management plans. 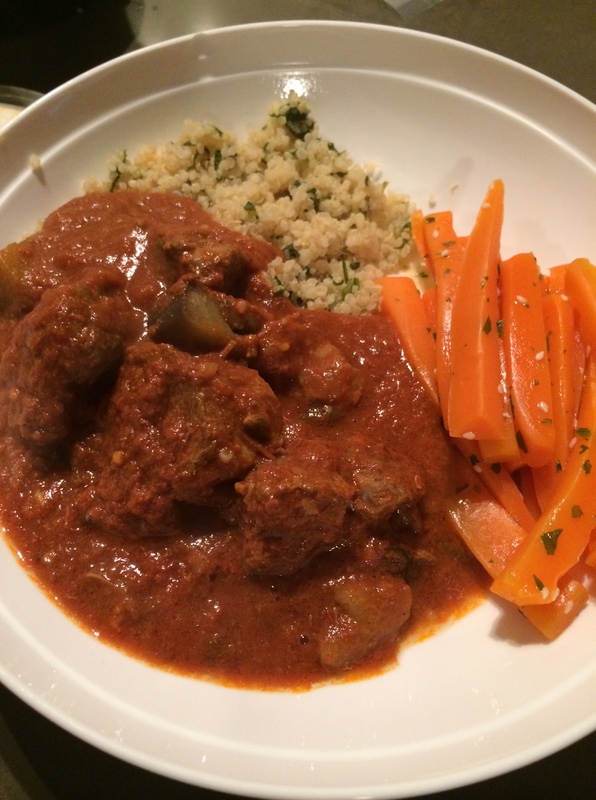 I would recommend anyone wanting to embark on a weight management or calorie controlled diet to give Dietlicious a try – You won’t be disappointed! b) Forgetting and eating the meal first! This was very filling for the portion size with a slightly crunchy texture. I was really impressed by this and left me feeling full. 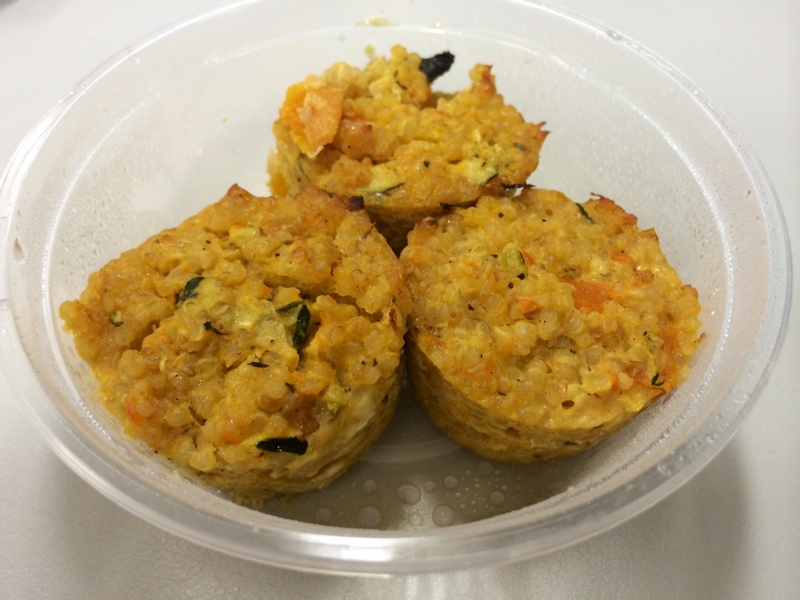 Crumbly nut & coconut filled protein ball – I was feeling content from breakfast but ate this to keep on track. 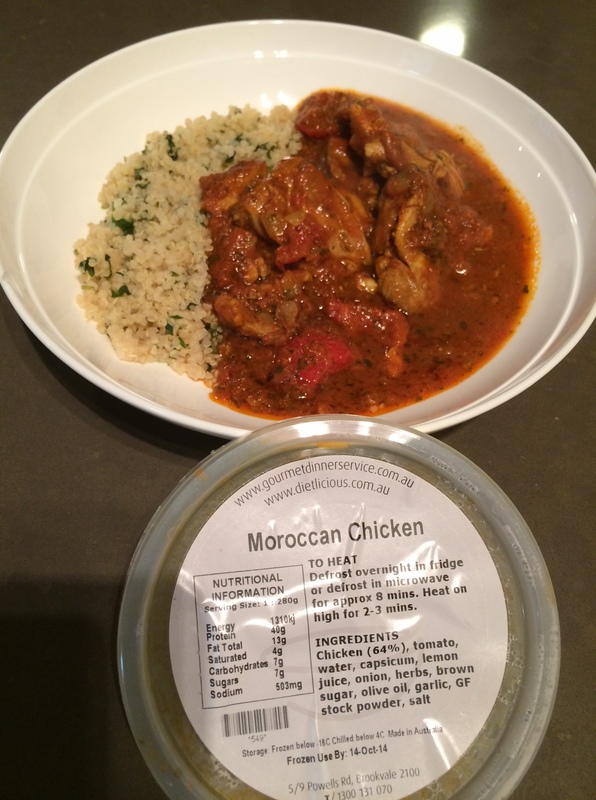 Great taste and, as it’s home-made, it doesn’t have that artificial taste that other protein products have. 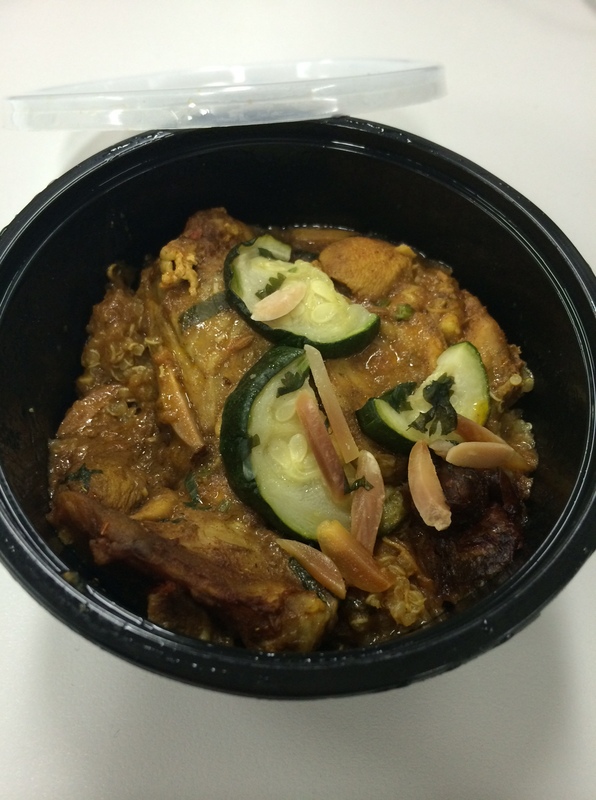 I loved this dish, which was enhanced by the texture added by the slivered almonds and the sweetness of the dates. The chicken was moist and the quinoa, although slightly soft, had a bit of a crunch to it. This dish kept me satiated for the rest of the afternoon. A small portion of Brazil nuts, almonds and a variety of seeds. It was a good little snack to keep me going until dinner. 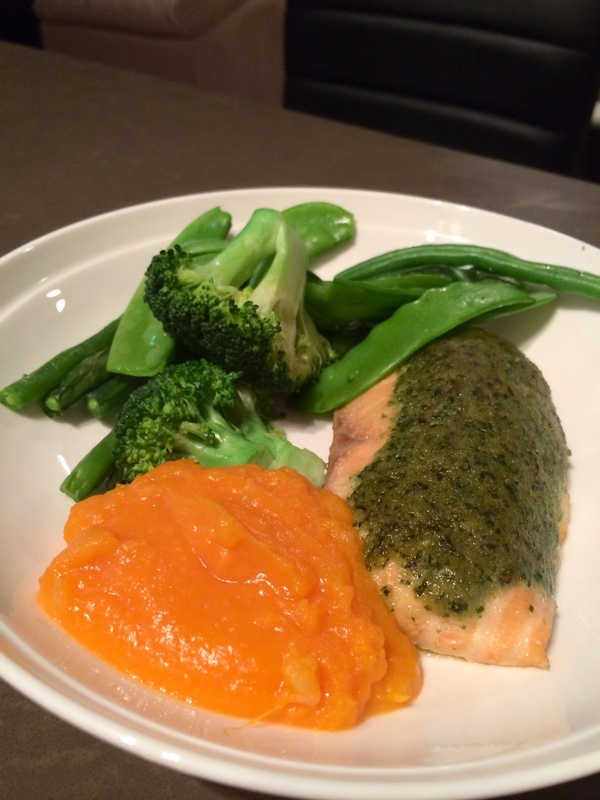 This was a great introductory dinner, the salmon had great flavour from the pesto, the sweet potato was as it should be …smooth and sweet and the broccoli was crisp with a hint of garlic – delicious. This was a very pleasant surprise as it was the one time I was worried about being hungry and by the end I was full. 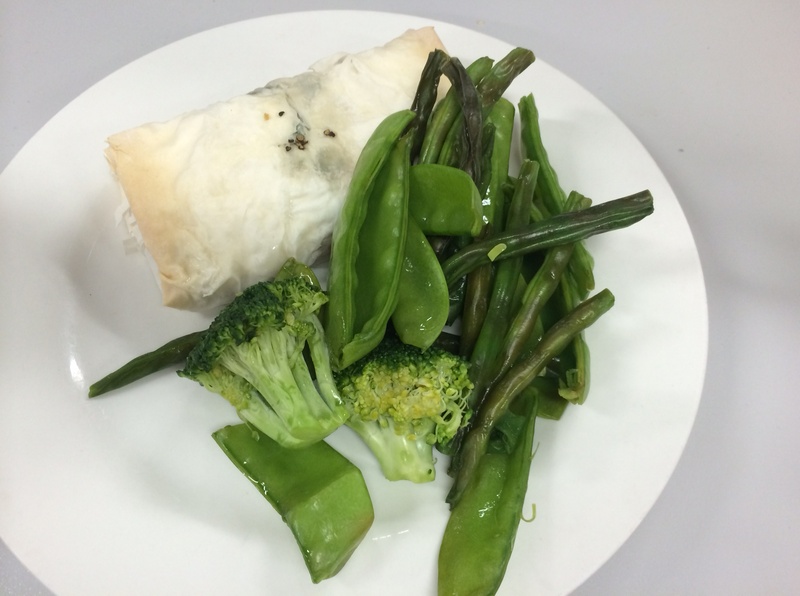 The filo is filled with rice, flaked salmon pieces and my favourite herb ever – dill! I loved this and was a great start to the day. 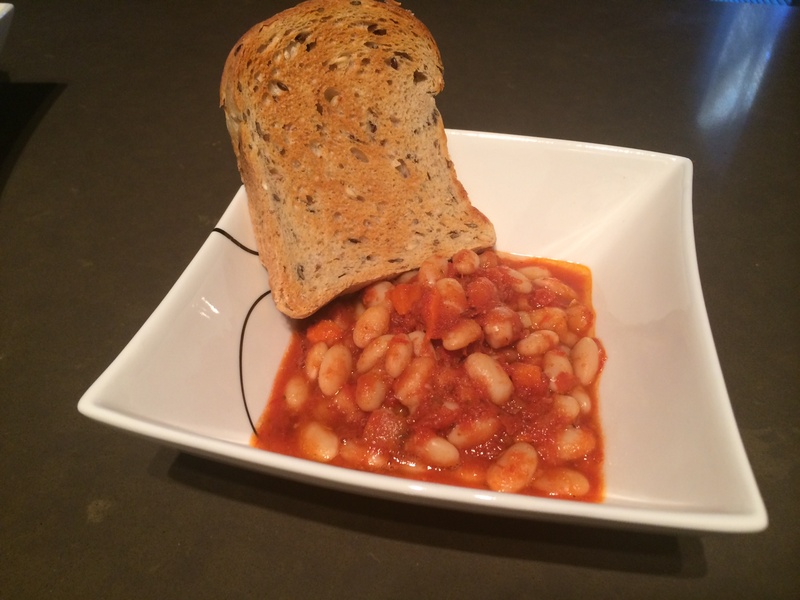 The beans are in a lovely rich tomato based sauce, similar to a Spanish style bean dish rather than tinned bakes beans. The serve of organic toast was a nice accompaniment. Dietlicious has definitely saved the best for last with this one. Strong in flavour, rich texture and a plentiful serve. Was the perfect way to end the program!